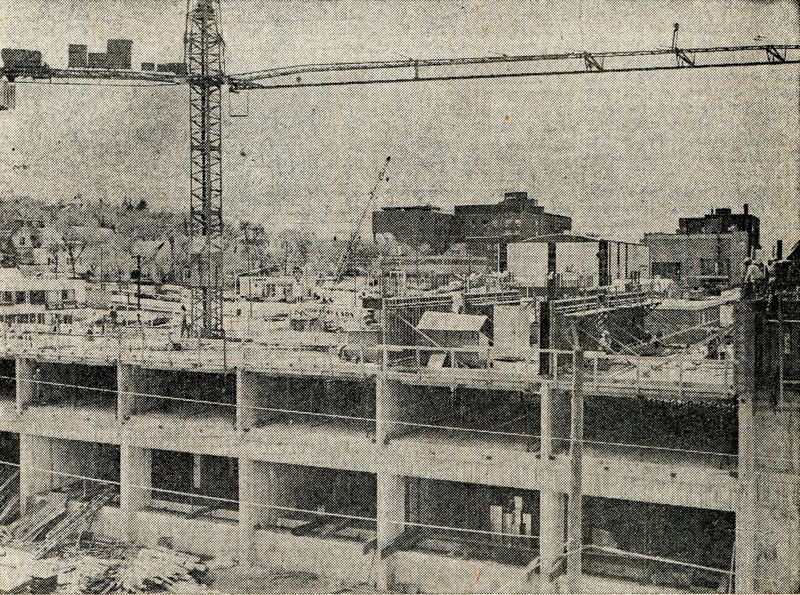 1971 Major Construction Projects – one was the expansion of the Broadway viaduct. A new 2 lane structure was to be completed in the fall. The other was the Milton R Young Towers on Burdick Expressway. A number of buildings were purchased by the city and moved or destroyed to make room for the Towers. The Samuelson home was acquired by the Historical Society, two other houses and a barn were sold and moved to other locations. The houses sold for $500 to $1000 and the barn for $102. All those sold were moved. Two houses and the barn traveled in a caravan down South Broadway to their new home.